Currently, the most effective treatment for male pattern baldness is the transplant of follicles from non-balding sites into the balding region, capitalising on the retention ofthe different intrinsic responses to androgen discussed earlier. This has significant disadvantages; not only is it very invasive and heavily reliant on the skill of the operator for a good cosmetic result, but the alopecia continues to progress behind the transplanted area so that further transplants are often required. Antiandrogen therapy is not a practical option for men due to the side-effects, but cyproterone acetate, in combination with estrogen to ensure contraception, has been used in women. It increased the percentage of hair follicles in anagen and may cause some regrowth, but is probably most effective in preventing further progression (Dawber and Van Neste 1995; Peereboom-Wynia et al. 1989). Since cyproterone acetate is unavailable in the USA, spirolactone and high-dose cimeti-dine have been used as alternative antiandrogens. Minoxidil, a vasodilator used for hypertension, stimulated excessive hair growth as a side-effect. This provoked major interest in hair follicle biology because it demonstrated that vellus follicles could be stimulated to form terminal hairs. Topical application of minoxidil has been used in both male and female androgenetic alopecia. It stimulates regrowth in up to 30% with only about 10% obtaining complete regrowth, probably by acting as a potassium channel regulator; most success occurs with younger men and with the early stages of balding, i.e. Hamilton stage V or less (Dawber and Van Neste 1995). More recently, a stronger topical application of a 5% solution has been licensed for use in men (Olsen etal. 2002). Finasteride, a 5a-reductase type 2 inhibitor, was developed to treat androgen-potentiated prostate disorders and is now available as an oral treatment for andro-genetic alopecia in men in many countries at a lower dose of 1 mg per day. Clinical trials demonstrated significant effects on stimulating hair regrowth in men with mild to moderate hair loss (Kaufman etal. 1998; Shapiro and Kaufman 2003). 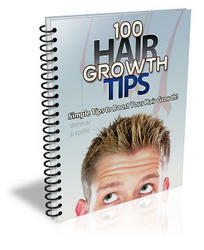 Even if hair did not regrow, balding progression was frequently halted. Unfortunately, no effects of finasteride have been seen in post-menopausal women with androge-netic alopecia (Price etal. 2000); use in pre-menopausal women requires ensuring against contraception in case of potential feminisation of a male fetus. Although a range of treatments are now available, they all need to be used continually because they are opposing a natural process which, if treatment is discontinued, retains all the components to continue to progress. Once a serious underlying pathology has been eliminated, a range of treatments is available for hirsutism (Azziz 2003). Cosmetic treatments such as bleaching, depilatory measures such as shaving, waxing, electrolysis or laser are common. Electrolysis with the aim of permanent removal by killing the dermal papilla and germinative epithelium/stem cells is the most established long-lasting treatment, but it is expensive, time consuming and may cause scarring; removal by laser treatment is a more recently introduced alternative (Levy etal. 2001; Sanchez et al. 2002). The most common endocrine treatment, outside the USA, is the antiandrogen, cyproterone acetate, given with estrogen if the woman is premenopausal; spiro-lactone or flutamide can be used as an alternative (Fruzzetti 1997; Lumachi and Rondinome 2003). Patients have to be well-motivated because hair growth on the face generally takes at least nine months before a noticeable effect occurs, although any acne will be cleared in a couple of months and effects on thigh hair growth will be seen in four to six months (Sawers etal. 1982). Facial responses are seen first on the sides of the face and last on the upper lip, in reverse order to the appearance of facial hair in men (personal observations). Finasteride has also been used for hirsutism with some success (Lacryc etal. 2003). This seems logical as 5a-reductase type 2 is necessary for male pattern body hair growth (see Section 6.4.1). Contraception is still required with all endocrine treatments due to the potential to affect the development of a male fetus. Metformin, insulin-sensitising therapy, aimed to alter the insulin resistance and hence the hyperandrogenism often associated with polycystic ovarian disease has been used clinically, but the evidence has yet to be rigorously tested (Harborne etal. 2003). Overall, there have been major changes in the treatment of androgen-potentiated disorders over the last ten years. The ideal treatment of a uniformly effective, topical treatment which is inactivated on contact with the blood or is specific for hair follicles is not yet available. Further research on the biology of androgen action in the hair follicle may facilitate its development. • Androgens are the main regulator of human hair growth. • Androgens have paradoxically different effects on hair follicles depending on their body site. 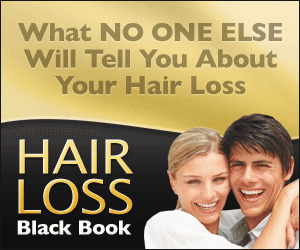 They can stimulate the formation of large hairs e.g. beard, axilla, have no effect e.g. eyelashes or inhibit follicles on the scalp. • All effects are gradual. • Androgen-potentiated disorders of hair growth are common including hirsutism in women and androgenetic alopecia in both sexes. • Androgen receptors are necessary for all androgen-dependent hair growth and 5a-reductase type 2 for most, but not for female patterns of axillary and pubic hair, even in men. • The action of androgens on human hair follicles demonstrates several paradoxes: contrasting effects in different sites; major differences in the persistence of stimulatory effects depending on body region; a varying requirement for the formation of 5a-dihydrotestosterone even amongst follicles exhibiting increased growth. Since these are all site-related and retained on transplantation, these indicate intrinsic differences within follicles, presumably determined during embryonic development. • The current model for androgen action in the hair follicle proposes that androgens act via the cells of the dermal papilla, altering their production of regulatory paracrine factors such as growth factors which then influence the activity of other follicular components, e.g. keratinocytes, melanocytes and endothelial cells. The dermal sheath may also play a role as a direct androgen target. • Antiandrogens, generally cyproterone acetate, and a 5a-reductase type 2 inhibitor, finasteride, are being used to control androgenetic alopecia and hirsutism. 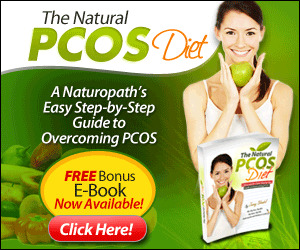 • Endocrine treatments may need several months to show their effects and will need to be used continually. • Further understanding of the mechanism of androgens in the hair follicle is necessary to enable the development of better treatments, preferably working topically and specific to the hair follicle. Randall VA (2003) Biological effects of androgens on the hair follicle: experimental approaches.